The Haunted Barn / Wicked Woods! 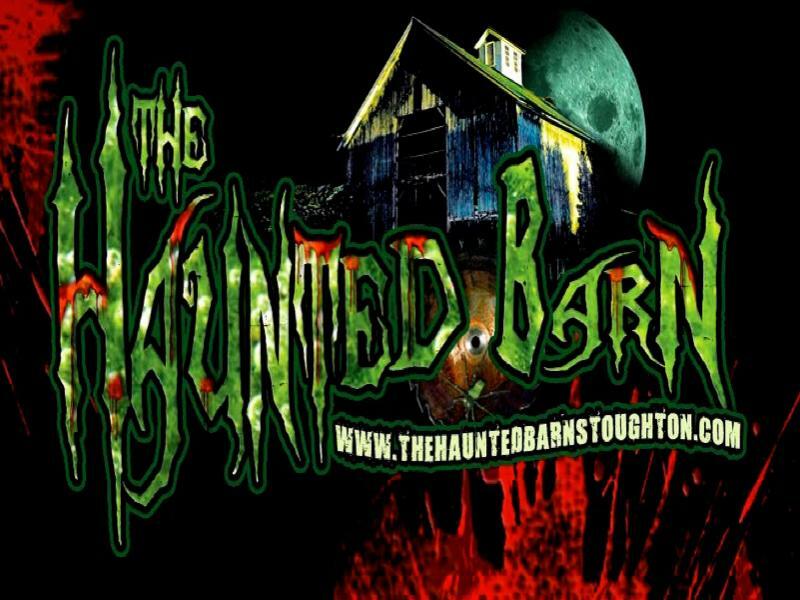 Don't miss the 2015 return of The Haunted Barn. 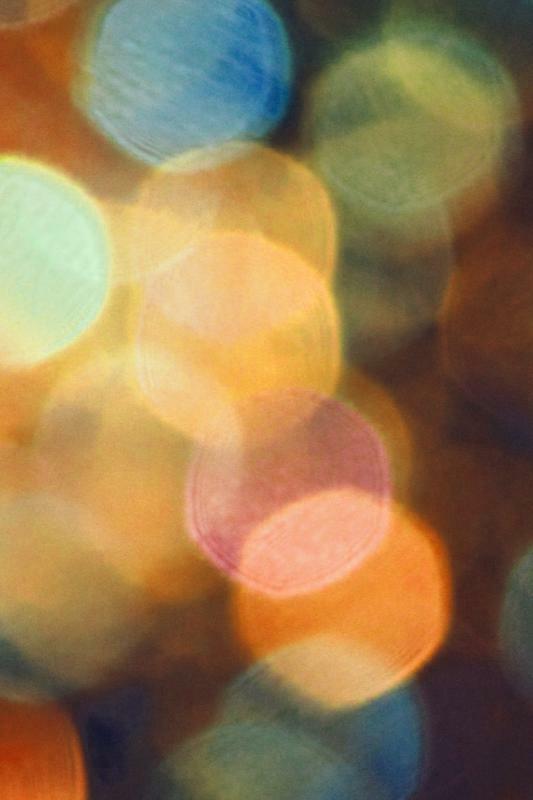 All new, more instense, more detail and more fun than ever before. We're baaaack! The Haunted Barn in its 10th and final season has gone crazy. Adding more props, more actors and more areas than ever before. Expect to be throughly exhausted after navigating through this hour long haunted adventure. The Haunted Barn "Monsters in May!" Approximately one hour of the scariest fun you'll find in the Madison area. 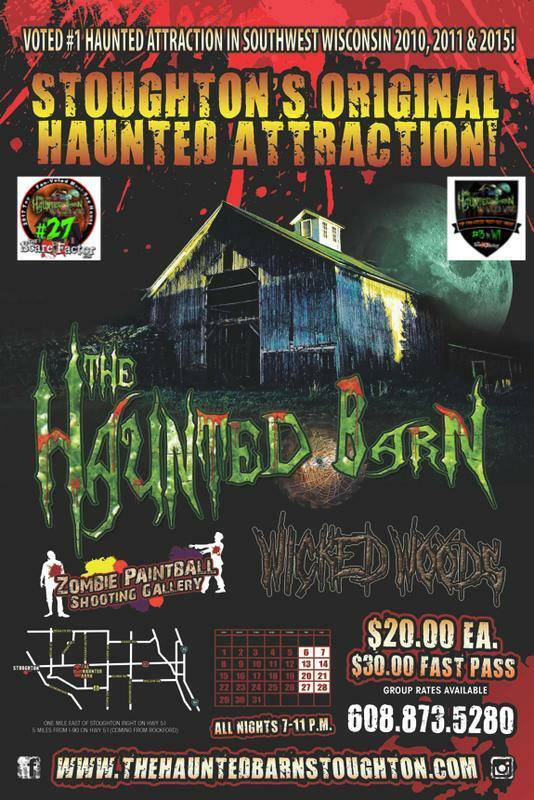 The Haunted Barn 2012 ZOMBIE HELL is an all new layout with new scenes and more actors than ever before! Don't miss it!!! Approximately one hour of the scariest fun in the Madison area. 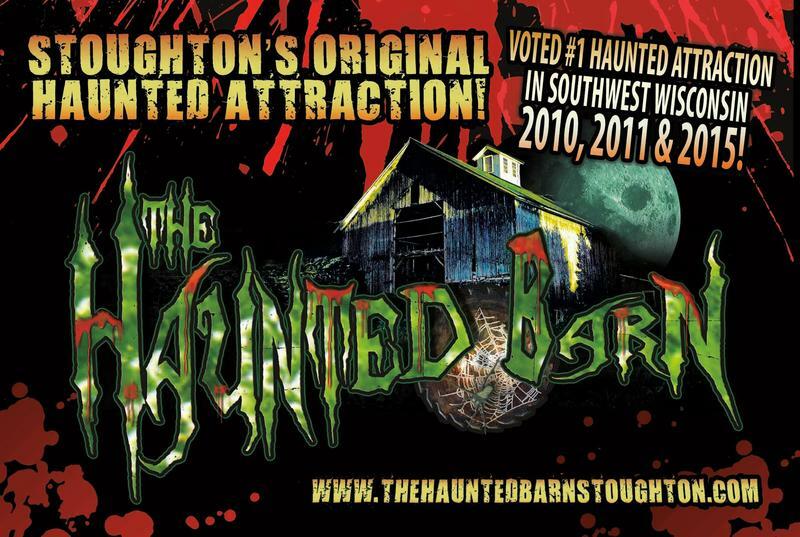 The Haunted Barn 2011 A Carnival of Horrors is a must see! Be prepared for just about anything here as we entertain you like never before.